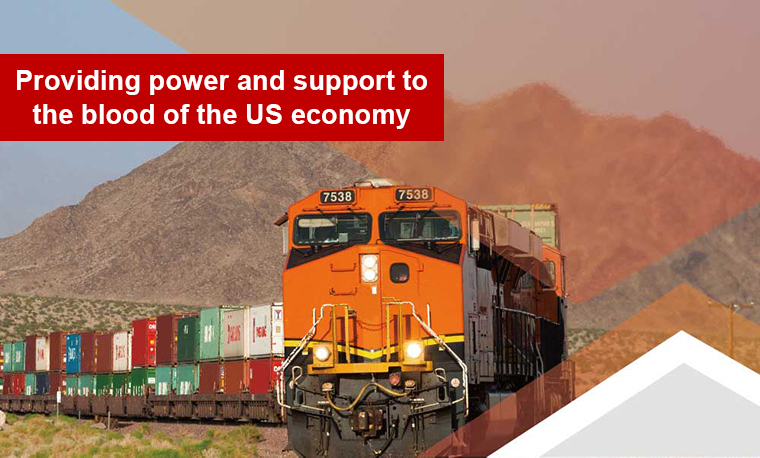 The logistics and transportation industry is vital to the US economy, facilitating the flow of goods throughout the world’s largest consumer market. 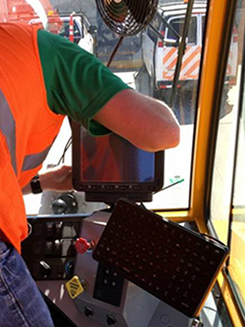 One of America’s largest freight railway company needed a rugged mobile network solution with the latest wireless technology to work 24/7 on their freight trucks. After locomotives carry freight across states to local ports, freight trucks are relied on for the last leg of the journey. On board Vehicle Mounted Computers (VMC) help to provide freight truck drivers with real-time routing GPS navigation, dispatch management and scheduling, parcel delivery and tracking, proof of delivery and other services. To ensure smooth operation, the VMC has to withstand the constant vibration of 24/7 transport in different terrains with wide varying temperature, while providing a steady 4G/LTE connectivity without interruption. After understanding the specific needs and the customers requirements, Winmate’s team led by sales manager Khalid Kidari put together a demo unit that was extensively tested in the lab to ensure it met the rigorous specifications set by railway end customer. Replacing old Vehicle Mounted Computer with FM10. The keyboard accessory allows for easier data input. FM10 installed on the freight truck. The device uses custom software developed specifically for this industrial application. 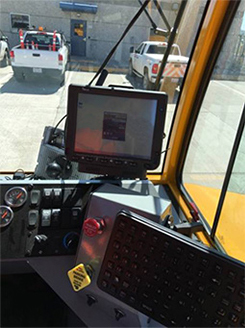 After the pilot testing stage, the end customer officially deployed the customized Winmate FM10 Vehicle Mounted Computers to their freight trucks. To date, over 1,500 trucks have been fitted with the FM10 and are operating smoothly 24/7 around the country.